Did Jennings’ Loss Mark Arum’s Last Hope to Taste Heavyweight Glory? 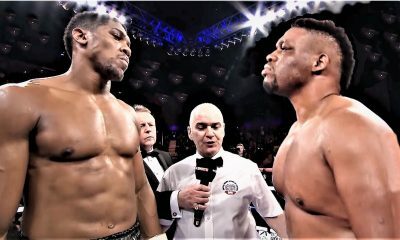 For someone who promotes two fighters who are widely considered to be the world’s pound-for-pound best, what took place Friday night at the Turning Stone Resort & Casino in Verona, N.Y., had to be a somewhat bitter pill for Top Rank founder and CEO Bob Arum to swallow. The good news for the 87-year-old Arum is that his fast-rising featherweight prospect Shakur Stevenson (10-0, 6 KOs), a silver medalist at the 2016 Rio de Janeiro Olympics, took another long stride toward possible superstardom with an impressive fourth-round stoppage of Filipino veteran Jessie Cris Rosales (22-2-1, 10 KOs) in the co-featured bout televised via ESPN+. 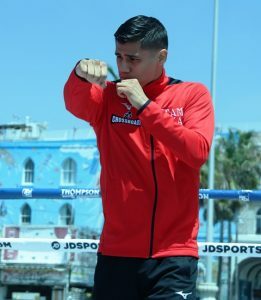 But while Stevenson could become a world champion in the 126-pound weight class as early as 2020, the reality is that the highly skilled little lefthander is not and never will be a heavyweight. 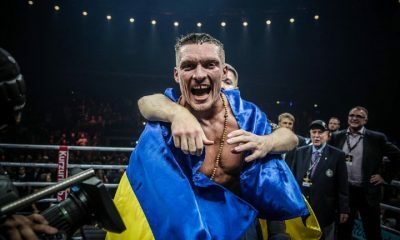 Neither will lightweight champion Vasiliy Lomachenko or welterweight champion Terence Crawford, the current headliners of the Top Rank stable who already have outgrown a couple of lower-weight divisions but can never be heavyweights except in terms of their prodigious talent. Many knowledgable observers consider Lomachenko and Crawford, in whichever order, to be first and second among all fighters regardless of poundage, and certainly no worse than somewhere in the top three or four. 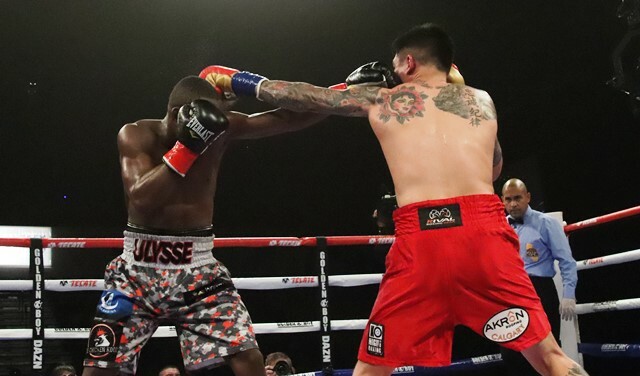 All of which means that the 12th-round technical knockout of Bryant “By-By” Jennings (24-3, 14 KOs) by underdog Oscar Rivas (26-0, 18 KOs) in the main event could eliminate any chance, however slim it might have been, of Arum having another heavyweight champion before he retires. Jennings, a relatively recent addition (in the summer of 2017) to the Top Rank stable who went in ranked No. 2 by the WBO, No. 7 by the WBA and No. 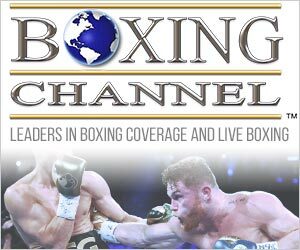 8 by the IBF, likely will fall out of the top 10 of all three sanctioning bodies. That might have been the case even had Jennings not fallen victim to Rivas’ final-round surge. 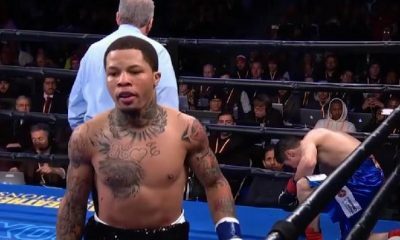 Although it appeared to the ESPN+ broadcast crew that the Philadelphian should have been comfortably ahead on points, he was on the wrong end of two of the three judges’ scorecards and would have lost anyway if he somehow made it to the final bell. 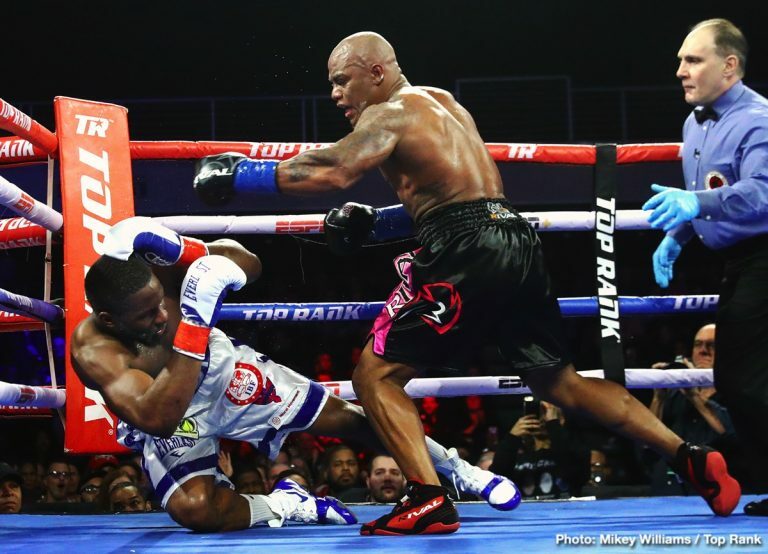 Although Jennings gave a credible account of himself in his only shot at a world title, losing a unanimous decision to IBF/WBA/WBO champion Wladimir Klitschko on April 25, 2015, his age is only one factor working against him now. There are simply too many hungry contenders standing between him and another shot at boxing’s biggest prize. 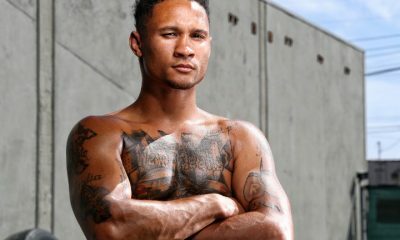 Prior to Jennings’ most recent bout before his meeting with Rivas, a ninth-round TKO of Russia’s Alexander Dimitrenko last Aug. 18 in Atlantic City, N.J., his trainer, John David Jackson, offered his opinion as to why the Top Rank honcho would ride the “By-By” train as far as it would go before it derailed. Arum, a former member of U.S. Attorney General Bobby Kennedy’s Justice Department in the early 1960s, has been promoting boxing matches – more than 2,000, and counting — for 52 years, and while some of his greatest successes have come with fighters from featherweight to middleweight, his promotional debut involved a heavyweight who was the biggest of them all. 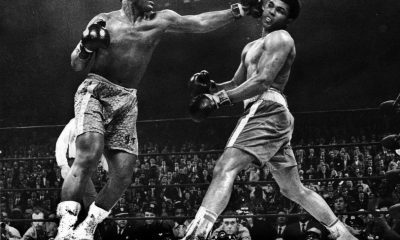 Introduced to Muhammad Ali by football great Jim Brown, Arum started at the very top, staging Ali’s winning title defense against rugged Canadian George Chuvalo on March 29, 1966, at Toronto’s Maple Leafs Garden. He would go on to promote 26 Ali fights, his most with any heavyweight. 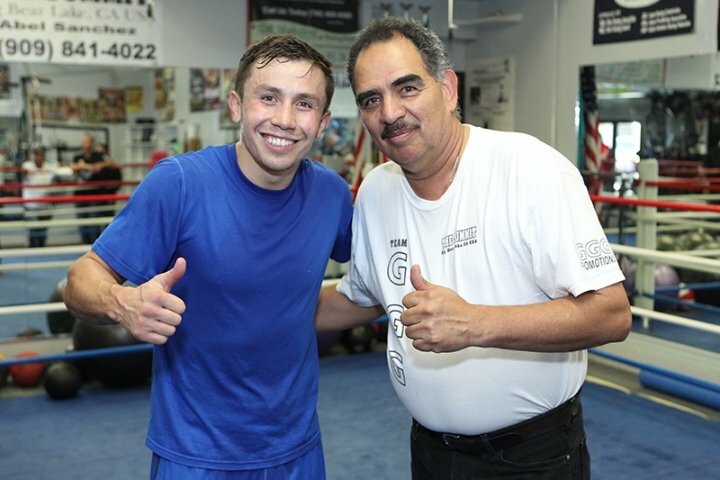 After Arum’s long and fruitful association with Ali ended, he continued to build his company by showcasing such celebrated non-heavyweights as Carlos Monzon, Roberto Duran, Sugar Ray Leonard, Thomas Hearns, Marvelous Marvin Hagler, Julio Cesar Chavez, James Toney, Oscar De La Hoya, Floyd Mayweather Jr., Miguel Cotto and, of course, Lomachenko and Crawford. But Arum pined for another thrill ride with a heavyweight attraction as compelling as had been his heyday with Ali, or as close an approximation to that as possible. He found it in the unlikely person of George Foreman, who had been retired for 10 years. Arum took a flier on the old and plump Foreman as his improbable comeback gathered momentum, although initially doubting that he and the presumably cheerier version of Big George would click. It was one of Arum’s, and Top Rank’s, grandest moments when the 45-year-old Foreman, far behind on points, regained the heavyweight title he had relinquished to Ali so many years earlier with a one-punch, bolt-from-the-blue 10th-round knockout of Michael Moorer on Nov. 11, 1994. But Foreman took a pounding in getting a gift nod over Axel Schulz in his next outing, and he retired again after losing a controversial majority decision to Shannon Briggs on Nov. 22, 1997. Arum’s dips into the heavyweight pool since then have been infrequent and generally less than satisfying. He has tried his hand to generate some of that old big-man magic with former champs Hasim Rahman and Ray Mercer, to no avail. 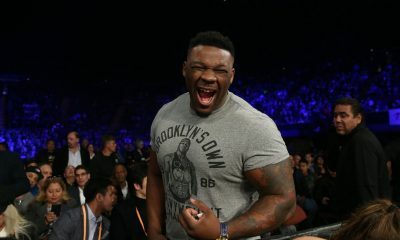 Top Rank’s relatively low-risk co-promotional signings of Jennings and then-WBO heavyweight champion Joseph Parker, who promptly lost his unification matchup with Anthony Joshua, again have failed to produce the desired results. 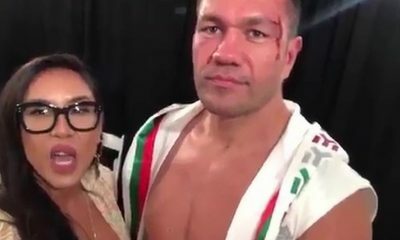 Last month Arum worked out a co-promotional deal with the management of Bulgarian veteran Kubrat Pulev. 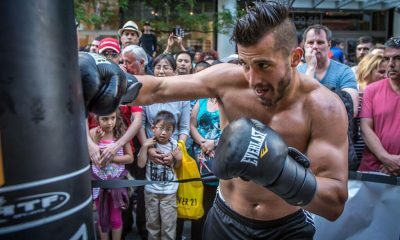 More recently he inked a new heavyweight hope in Sonny Conto, a 22-year-old from South Philadelphia who was the silver medalist at the 2018 National Golden Gloves. 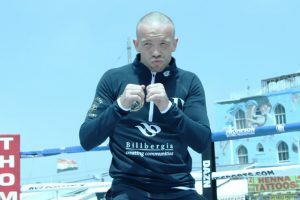 The 6-foot-4 Conto, who turns pro against the ever-popular opponent to be named on Feb. 8, is being called “a superstar in the making” by his manager, David McWater, and maybe he might turn out to be just that. But it takes time for a newly minted pro to work his way up to champion or even contender status, and by the time Conto gets there – if he gets there at all – it is hardly a given that an already octogenarian Arum will be around to savor the moment. Until then, we’ll all have to imagine what it might be like if there was a machine that could enlarge Lomachenko and Crawford by six or seven inches in height and a hundred pounds of heft.